Jersey Shore Boca goalkeeper and Providence College freshman Chris Konopka has been named to roster of the US Soccer Region I U-19 Men’s Olympic Development Team and will travel to The Home Depot Center in January to compete for a spot on the United States U-20 Men’s National Team. TOMS RIVER, NJ (December 10, 2003) – Jersey Shore Boca goalkeeper and Providence College freshman Chris Konopka has been named to roster of the US Soccer Region I Under-19 Men’s Olympic Development Team that will travel to California in January next year. The U-19 Region I team will compete against the U-17 and U-18 US Men’s National Teams as well as against three other Regional U-19 teams in a 5 day competition from January 2 to January 6 held at the US Soccer Federation’s new National Team Training Headquarters at the Home Depot Center in Carson, CA. 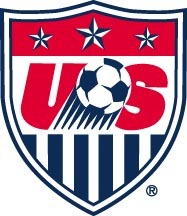 The purpose of this national soccer event is to help further identify the country’s top elite young players for selection to the Under-20 Men’s US National Team player pool for 2004 and 2005. The competition will be attended by members of the United States Soccer Federation national coaching staff including Thomas Rongen, head coach of the men’s U-20 US National Team, David Dir, goalkeeper coach of the men’s U-20 US National Team and Glenn “Mooch” Myernick, head coach of the men’s U-23 US National Team. Bruce Arena, head coach of the senior United States Men’s National Team is also expected to attend. Konopka and the U-19 Region I team will get a chance to compete against the best young soccer players in the United States. They will go head-to-head against Freddy Adu, Arturo Alvarez, Eddie Gaven, Craig Capano and Guillermo Gonzales, all from Major League Soccer, who have been invited to the event by Rongen along with other US National Team players. The Toms River native is one of only sixteen players selected to the U-19 Region I team from thirteen northeast states located between Maine and Virginia. He is also only one of two players selected to the team from New Jersey. David Roman from Monroeville, NJ, a freshman from Seton Hall University, is the other Garden State resident selected to the team. The U-19 Region I men’s team is coached by Gerry Sharpe of Virginia Beach, VA and Gene Klein of Pittsburgh PA.
Sharpe holds an US Soccer Federation A license, English Full Badge and is a former professional player with Bristol City, England. Klein, a specialist in goalkeeper training, holds an Advanced National Coaching Diploma awarded by the National Soccer Coaches Association of America as well as an A coaching license of the United States Soccer Federation. The freshman goalkeeper made his first collegiate start in goal for the Friars on October 14th against Brown University. Konopka played the full 90 minutes of regulation time and 20 minutes of overtime and made five saves against the Ivy League powerhouse, including a penalty kick attempt which preserved a 2-2 tie for Providence. The Bears were ranked #20 in the nation at the time. The 6 foot 4 inch goalkeeper also helped the Friars upset the #22 nationally ranked Virginia Tech Hookies on November 9th in Blacksburg, VA to advance to the semi-finals of the 2003 Big East Conference men’s soccer tournament for the first time since 1987. After playing to a 2-2 tie throughout 110 minutes of regulation and overtime, Konopka made a diving kick save on the fourth Virginia Tech penalty kick attempt to help secure the win for Providence during the penalty kick period. Created around a 27,000 seat soccer stadium, the complex is located on the campus of California State University Dominguez Hills. Konopka, a veteran of the Jersey Shore Boca soccer club, is a two-year member of the US Soccer Region I Olympic Development Team. The club is celebrating its 25-year anniversary in 2003. Jersey Shore Boca will compete in the United Soccer Leagues elite Super Y-League for the fourth straight year in 2004.